Nothing is hindering souls from entering into the Kingdom of God today more than WRONG REPENTANCE. Read it again... Luke 11:52, “Woe unto you, lawyers! for ye have taken away the key of knowledge: ye entered not in yourselves, and them that were entering in ye hindered.” Folks, that key of knowledge is “THE GOSPEL.” “Lawyers” in the Bible were men who were experts in the Mosaic law. They were guilty of mishandling the Scriptures, misleading people concerning how to get their sins forgiven. Instead of using the LAW as a tool to bring lost sinners to the Gospel of GRACE to be saved, they were telling people to keep the LAW to be saved. I say truthfully, if you require a lost sinner to “turn from sins” to be saved, you are committing the same evil as those wicked lawyers in Christ's time, who errantly taught that salvation is obtained by keeping the LAW. That's what turning from sins is, keeping God's LAW. Romans 3:20, “Therefore by the deeds of the law there shall no flesh be justified in his sight: for by the law is the knowledge of sin.” God pity these vineyard killers, who gather around the Word and bring forth no fruit. Bless God, we ought to use the Word of God to feed, convict and convert the lost. Today's Bozo clown ministers, who juggle dozens of different Bible revisions, are all anti-preaching!!! We need PREACHING! There's no fruit anymore. Today's dead Bible colleges; such as, Bob Jones University, make fun of King James Bible only soul-winners. They mock those who proclaim and defend the purity of God's inspired Words!!! I dare say that at least half of America's 6,000 independent Baptist churches have succumbed to the Devil's heresy of Wrong Repentance. Please listen to the wonderful and needful MP3 sermons by Pastor Ralph Yankee Arnold titled, “Caught Between Grace And Works” and “Easy-Believism.” The churches are in dire condition nowadays, a heap of rotting spiritual ruins. Do you know what a church is? It is a vineyard, and pastors are caretakers of the orchard. To the fundamentalist, the church is a vineyard to win souls; but to the neo-evangelical, it is a forest preserve of shady trees. The Church is the vineyard, a place to bear fruit. There's not one verse in all the Holy Bible that teaches church is a place to worship God. We are commanded to worship God on a personal basis. The Church is a vineyard. Pastors don't destroy churches, they destroy vineyards!!! God said in Jeremiah 12:10, “Many pastors have destroyed my vineyard, they have trodden my portion under foot, they have made my pleasant portion a desolate wilderness.” If anyone ought to take a church and turn it into a vineyard, it is the pastor. We've got a bunch of dry, fuddy-duddy, dead theologians in our Bible colleges. America's pastors have turned the churches from vineyards into flower-gardens! One of the main culprits is the flood of counterfeit Bible versions into the churches, which errantly teach Wrong Repentance. Consequently, the Alexandrian Bible versions have destroyed God's vineyards. People are dying for soul-winning churches! People are dying for something real. People are sick and tired of formal, dry, dead, church services, with a pastor who wears lace on his underwear and delivers lame sermonettes. The great need of the hour is PREACHING PREACHERS!!! We need old-fashioned Billy Sunday Christianity!!! The churches are dead today. People are looking for God, but they can't find Him in today's rotting vineyards. The average church doesn't baptize one convert every 6 months. What do you expect when you pervert the Gospel, by teaching Wrong Repentance! Requiring people to give up their sinful bad habits to be saved is a false Gospel. That is a very difficult thing to do, not the simplicity that is in Christ (2nd Corinthians 11:3-4). Today's dead churches are not vineyards, they are cemeteries! Lack of soul-winning and lack of standards go together. When you love God enough to go soul-winning, you'll love God enough to give up the world. Carefully consider our text passage of Scripture from Romans 3:20, “Therefore by the deeds of the law there shall no flesh be justified in his sight: for by the law is the knowledge of sin.” The Holy Bible says that BY THE LAW IS THE KNOWLEDGE OF SINS. That means the purpose of God's LAW is to show men their SINNERSHIP. Please don't miss what the Bible is saying here. The apostle Paul is teaching that a man CANNOT be justified in God's sight by the deeds of the law. And then he expounds further, explaining that the intent of the law is to show men their sinnership. It is the Ten Commandments of God which give men the KNOWLEDGE that they are woeful sinners, for we have ALL broken God's commandments. If you understand this great truth, then it becomes abundantly clear why turning away from a sinful lifestyle to be saved is utter nonsense and heresy!!! “What place has repentance in salvation? Should we tell people to repent of their sins to be saved? The Gospel of John is the Holy Spirit's Gospel Tract, written that men might believe that Jesus is the Christ, the Son of God; and that believing they might have life through His name (20:31). And it does not mention the word 'repentance.' But that is only because repentance is a necessary part of saving faith. Strictly speaking, the repentance means a 'change of mind.' It is by no means the same thing as sorrow (II Corinthians 7:10). Since it is not possible to an unbeliever to become a believer without changing his mind, it is therefore unnecessary to say anything about it. The only thing for a man to do in order to be saved is to believe on the Lord Jesus Christ: and to believe on Him is the same thing as receiving Him (John 1:11-13).” —Pettingill, William; “Bible Questions Answered,” (p. 215-216). Amen Brother, that is some good stuff!!! “Eternal life is free. Discipleship is immeasurably hard. The former is attained by faith alone, the latter by a faith that works... the former brings with it the righteousness of God so that a man is 'justified freely by his grace' (Romans 3:24). The latter develops a personal righteousness, based on good deeds, so that a man was also 'justified by works' (James 2:24). The former constituted the believer God's workmanship, the latter fulfilled the wonderful purpose for which he had been created. The former cost man nothing, the latter could cost him everything, including life itself.” —Hodges, Zane C.; “The Hungry Inherit,” Moody Press, Inc., 1972 (p. 114-115). “There is a vast difference between coming to Jesus for salvation and coming after Jesus for service. Coming to Christ makes one a believer, while coming after Christ makes one a disciple. All believers are not disciples. To become a believer one accepts the invitation of the Gospel, to be a disciple one obeys the challenge to a life of dedicated service and separation. Salvation comes through the sacrifice of Christ; discipleship comes only by sacrifice of self and surrender to His call for devoted service. Salvation is free, but discipleship involves paying the price of a separated walk. Salvation can't be lost because it depends upon God's faithfulness, but discipleship can be lost because it depends upon our faithfulness.” —Dehaan, M. R. Hebrews; “Zondervan Publishing House,” 1959 (p. 117). “For the unregenerate man, repentance is the change of mind whereby he turns from unbelief to faith in the person and work of Jesus Christ.” —Post, Roger; “The Meanings of the Words Translated 'Repent' and 'Repentance' in the New Testament,” Master's Thesis, Wheaton College, June 1972 (p. 80). “There are those who, in their zeal to get people to turn from their sinful ways and receive the Lord, almost put repentance on a par with believing... Repentance, as it relates to Christ, means to change our minds about Him, who He is and what He's done to provide forgiveness and deliverance from our sins. When we place faith in Jesus as having taken our place personally on the cross and borne the penalty due our sins, then we're automatically repenting, because we couldn't accept Him in this way without having had to change our minds in some way concerning Him.” —Lindsey, Hal; “The Liberation of Planet Earth,” Zondervan Publishing House, 1974 (p. 136, 137). “Discipleship is frequently equated with salvation and often erroneously made a condition for becoming a Christian.” —Pentecost, J. Dwight; “Design for Discipleship,” Zondervan Publishing House, 1971 (p. 11). “Certainly discipleship is a most important aspect of our relation to Christ, but it belongs to the sphere of Christian life rather than entrance upon that life... One does not become a disciple in order to become a Christian, but because he has become a Christian by faith in the Savior, it is fitting that he embark upon a life of discipleship.” —Harrison, Everett F.; “Must Christ Be Lord to Be Savior? No,” Eternity, September 1959 (p. 14). “It is an inexcusable error to confront sinners with problems that concern the Christian life and call upon them to make promises regarding them. An unsaved person is never called upon to surrender himself to God. The saving act is in no instance represented as our 'giving ourselves to God'; it is, on the contrary, taking His Son as our Savior.” —Ryrie, Charles; “Balancing the Christian Life,” Moody Press, Inc., 1969 (p. 170). “Repentance, as it relates to Christ, means to change our minds about Him, who He is and what He's done to provide forgiveness, and deliverance from our sins. When we place faith in Jesus as having taken our place personally on the cross and borne the penalty due our sins, then we're automatically repenting, because we couldn't accept Him in this way without having had to change our minds in some way concerning Him.” —Hal Lindsey; “The Liberation of Planet Earth” (p. 133). Penance is payment for sin. Penitence is sorrow for sin. Works and something of self is turning from sin. But repentance (metanoia) means a change of mind. Man's great need is to understand God's way of salvation and accept His sacrifice. Repentance in salvation means a change of mind from any idea of religion that man might have and accepting God's way of salvation. “For God so loved the world that He gave His only begotten Son, that whosoever believeth in Him should not perish, but have everlasting life (John 3:16).” —Dr. Hank Lindstrom (1940-2008). Those are beautiful quotes, clearly explaining the truth about repentance and salvation. I fear more than HALF of all Baptists are going straight to Hell when they enter into eternity, because they've placed their faith in wrong repentance (turning from sins) and Lordship Salvation (discipleship). The LAW gives the KNOWLEDGE OF SIN, and that is its only role in God's plan of salvation. You'll never hear a simpler explanation that what I am giving you. God has made two great divisions in His Word—the Old Covenant (LAW) and the New Covenant (GRACE). The covenant of grace is THE GOSPEL. The LAW gives a man the knowledge that he is a guilty sinner in God's sight and; therefore, needs a Savior. The “law was our schoolmaster to bring us to Christ,” our great Redeemer, to be saved. When anyone teaches that a person must turn away from sins to be saved, they are misusing the law. Instead of the law being used to give the “KNOWLEDGE OF SIN,” it is being misused as a REQUIREMENT FOR SALVATION. Do you see how awful and satanic this is? Many preachers today are using God's law as they would a hammer to do the job of a screwdriver! Many Baptist churches are using the law as they would a drill to do the job of a flashlight. I am being facetious of course. Romans 3:20 plainly teaches that God's LAW exists to give “THE KNOWLEDGE OF SIN.” I'd dare say that at least HALF of today's independent Baptist churches have been deceived by the Devil, being drawn into the lie of FALSE REPENTANCE. TRUE REPENTANCE is simply a change of mind unto the Gospel itself. When a man sees himself as a guilty sinner in the eyes of a holy God, and judges himself as a needy sinner before God, that is repentance. We are saved by placing our TRUST in the Gospel. The Gospel means Good News. It is the Good News of Jesus Christ crucified, buried and risen. God saves any person who receives Christ's sacrifice on the cross as payment for their sins, believing that He was buried, and bodily resurrected three days later. Pastor Harry Ironside Has Repentance Correct! 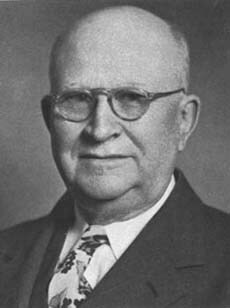 Pastor Harry A. Ironside (1876-1951) DIDN'T teach Lordship Salvation, he simply taught that Biblical repentance was necessary for salvation. Listen to what Pastor Harry Ironside correctly says about repentance in chapter 16 of his book, EXCEPT YE REPENT . . . If you'd like to read further, please read ANOTHER GOSPEL? Look back to our beginning verse in Matthew 27:3. It says that Judas repented and then went back to the chief priests and the elders to return the money. They refused and dealt harshly with him. Judas panicked and emotions overwhelmed him. Judas killed himself. There's criminals in this world who can kill someone in cold blood and not feel one bit of guilt or remorse. Evidently, Judas wasn't a cold-hearted criminal since he did feel guilt, but he failed to seek forgiveness in Christ. Apart from the name of Jesus there can be no salvation (Acts 4:10-12). Jesus, knowing that Judas was a known thief (John 12:6), chose Judas to be an Apostle in accordance with God's sovereign will. Never underestimate the will of God in your life. Sometimes things may seem all wrong, forever in shambles and hopeless, but God truly does work in mysterious ways. In hindsight we see the purpose of Judas being made an Apostle in God's plan, but at the time the other Apostles probably wondered why Jesus chose such a shady man to join their group. I mean, would you put a known thief in charge of your group's money bag? Jesus made Judas their treasurer, knowing that Judas loved money, was unsaved and according to John 6:70 had a devil in him. God works in mysterious ways! Judas didn't believe on Christ and had never learned the sweetness of God's love and forgiveness. Peter knew of these things. Sadly, Judas is in Hell today, but Peter is in Heaven. When asked by the Lord Whom He was, Peter exclaimed, “THOU ART THE CHRIST, THE SON OF THE LIVING GOD”!!! Amen and amen!!! Matthew 16:16, “And Simon Peter answered and said, Thou art the Christ, the Son of the living God.” Judas never expressed such faith in the Lord, because he had none. Clearly, Ironside taught a Free Grace view of the Gospel. Dr. Ironside correctly recognized repentance as the confession that “one is utterly without merit” and that if one is “ever saved at all it can only be through the merits of our Lord Jesus Christ.” Salvation is without works of self-righteousness. Romans 4:5 plainly teaches that a man's faith is COUNTED for righteousness, i.e., the righteousness of Jesus Christ is imputed to one's heavenly record by faith. There are two types of righteousnesses in the Bible: 1) God's IMPUTED RIGHTEOUSNESS (through faith in the Gospel of Jesus Christ); and, 2) PERSONAL RIGHTEOUSNESS (which is holy living). When God said He would spare Sodom if Abraham could find just TEN righteousness people, it meant BOTH imputed and personal righteousness. I believe God is looking for the same righteous people today in America. Sadly, each generation's churches produce fewer and fewer righteous people, as our nation wanders farther away from the inspired King James Bible. To the same degree that the modern counterfeit Bible versions are being adopted by the churches, to that same degree Wrong Repentance and Lordship Salvation is being taught, and people are being conned to live the Christian life without ever being born-again!!! Woe unto the pastors! Jeremiah 12:10, “Many pastors have destroyed my vineyard, they have trodden my portion under foot, they have made my pleasant portion a desolate wilderness.” Today's vineyard-killing neo-evangelical pastors have taken away the key of knowledge, substituting the saving Gospel of free grace with Wrong Repentance (turning from sins) and Lordship Salvation (discipleship) to be saved. Have you believed a lie?